I headed across the border this weekend into Devon and the Dartmoor National Park, having not being there since I was a child I had forgotten how beautiful the landscape was, it’s certainly a location I’ll be returning to. 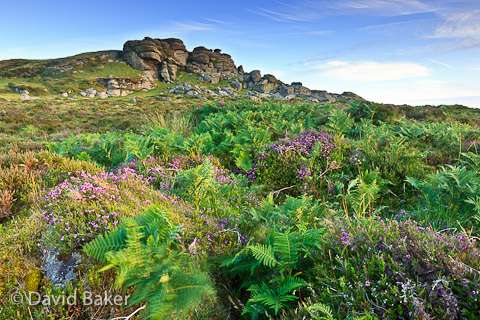 This shot is of one of the many Tors in the Haytor area, I was lucky enough to find a patch of heather and ferns for foreground interest. ~ by David Baker on 18 July, 2010.